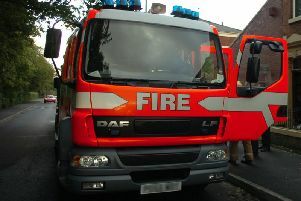 A pilot scheme in Morecambe where fire crews respond to medical emergencies along with paramedics has been a success. Two firefighters at Morecambe fire station have been trained as first responders and ‘blue light’ to incidents, often getting there before the ambulance service and administering life-saving treatment. l Euston Grove, Morecambe – North West Ambulance Sservice (NWAS) there in advance but required fire crews to get into the house for someone concerned about an elderly relative. Getting into the building falls to the fire crews. l Morley Close, Lancaster – cardiac arrest– a rapid response vehicle was there to assist the paramedic and the patient was taken to hospital. l Trimpell Club, Morecambe – an elderly gentleman had a heart attack, a rapid response vehicle and fire crews assisted with CPR and he was taken to hospital. John Taylor, from Lancashire Fire and Rescue Service said: “It’s how it would work for retained crews who are on different shift patterns such as Hornby, Silverdale and Carnforth. Ian McGill, Fire Brigades Union, Regional Chair Northwest Region, Brigade Secretary Lancashire, said: “We have liaised closely with our members at Morecambe who, I think it’s fair to say had reservations and concerns, and were probably best being described as reluctant volunteers to start with.